Philadelphia – As the federal government shutdown continues, Penn Dental Medicine is opening its doors to furloughed federal workers, offering them free care for emergency dental needs. 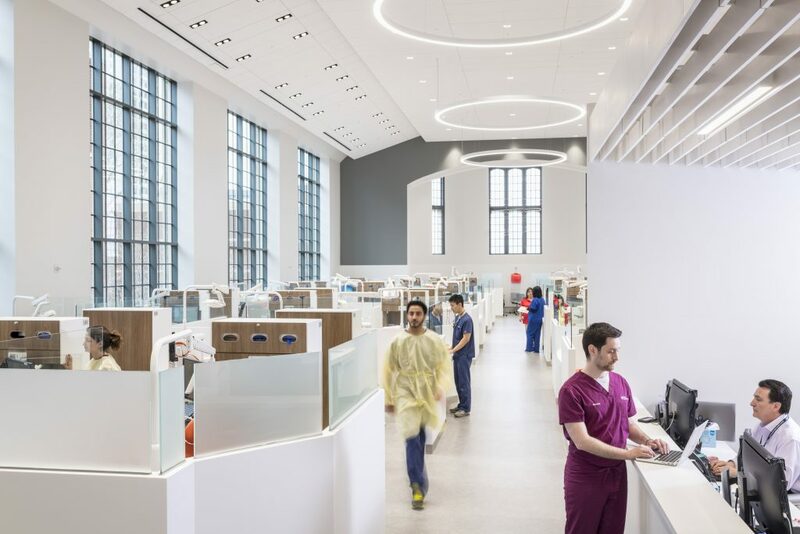 Faculty and students at Penn Dental Medicine will see furloughed workers needing urgent care during the regular hours of operation — 8 am to 5 pm, Monday thru Friday. Appointments can be made by calling 215-898-8965. Walk-in appointments are also accepted until 3 pm daily. To receive care, federal workers should bring identification to confirm their employment and a zero-dollar pay stub. For those individuals with a regular dentist, records of the care provided at Penn Dental Medicine will be sent to their primary care provider, so contact information for their dentist should also be provided at the time of the appointment. “With budgets tight for many furloughed workers, they may be reluctant to seek dental care even when in discomfort. We want them to know Penn Dental Medicine is here to serve them,” says Dr. Mark Wolff, Morton Amsterdam Dean of Penn Dental Medicine. Penn Dental Medicine is located at 240 South 40th Street. Temple’s Kornberg School of Dentistry on North Broad Street is also offering free emergency care to furloughed federal workers.